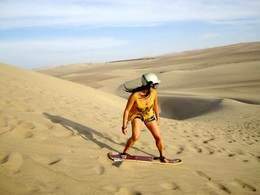 Spend an incredible day in the dunes of the Huacachina, ride tubular transport 4X4 and sandboarding practices in the desert of Huacachina. This journey will take you through beautiful dunes where you will enjoy an incredible adrenaline rush. 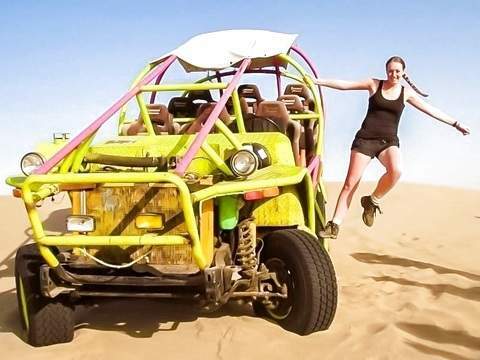 The driver will provide some important techniques to slide with the boards, once down, the tubular will go for you and continue again practicing on different dunes and take spectacular photographs of the desert that shows us a beautiful whim of nature. 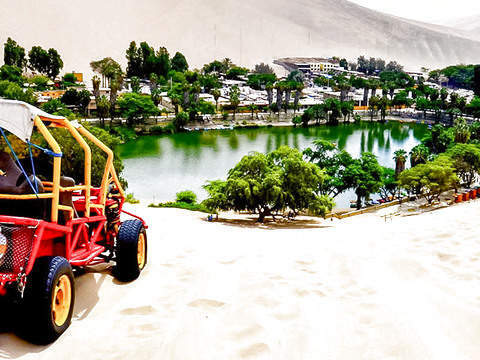 Pick up at a hotel in Ica (provided it is in the center of the city) or Huacachina. 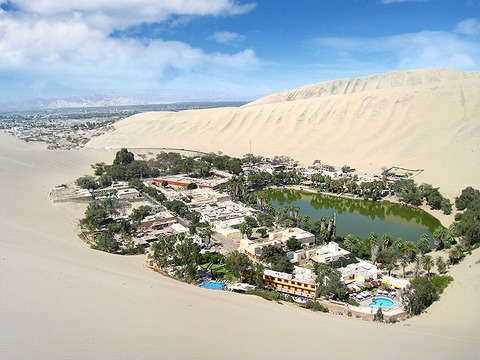 3:00 pm Our clients are picked up from their hotel or bus station in the city of Ica to be taken to the Oasis of Huacachina. Guided walk around the Oasis. 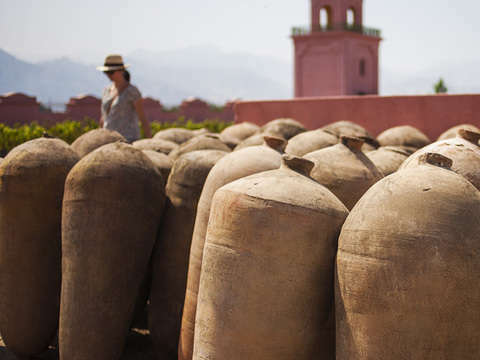 In addition, you can enjoy spectacular photographs of any angle. 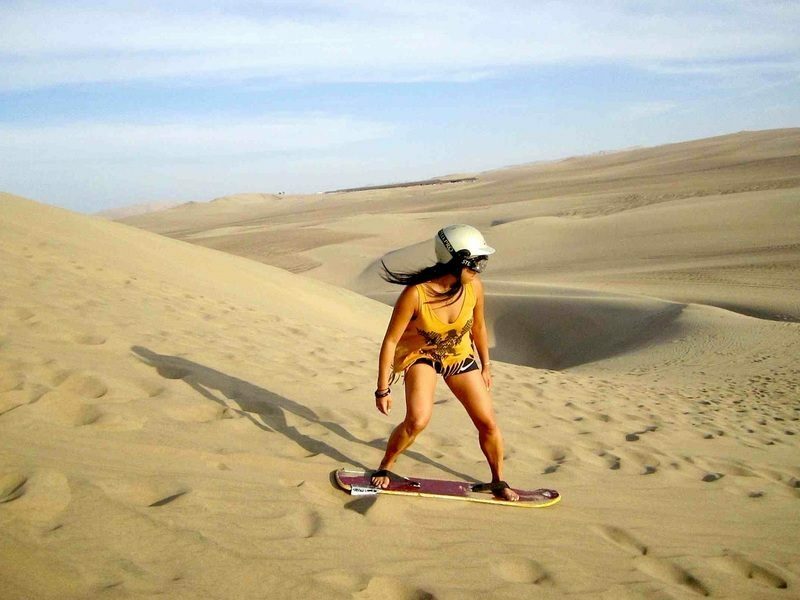 4:00 pm Ride in 4X4 tubular transport and sandboarding practices in the Huacachina desert. For a time of 2 hours approx. Once arrived at the top of the dunes, the driver will stop the machine to provide some important techniques to slide with the boards, once down, the tubular will go for you and continue again practicing on different dunes and take spectacular. 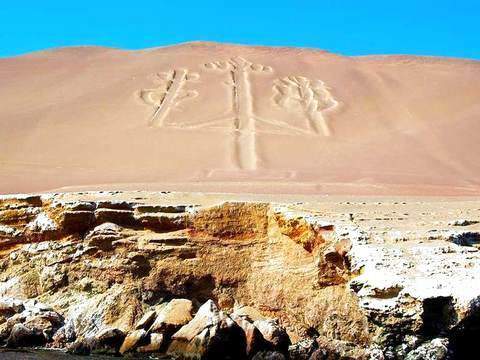 photographs of the desert that shows us a beautiful whim of nature, the return transport will make a final stop in the dune of huacachina to appreciate and take the best pictures of the beautiful oasis from on high. Upon your return, you will be transferred to your hotel or bus station in Ica. Transfers from your hotel in Ica / Huacachina / hotel or bus terminal. Food, water: Snacks and drinks during the tour. It is recommended to wear: Sportswear, short or shorts, shirt, windbreaker, sneakers, sunglasses, sunscreen. CHILDREN: From 0 to 3 years old, they do not pay. They share service and attention with parents and / or accompanying adults and travel under their exclusive responsibility. / From 4 to 10 pay Child Rate. / From 11 years pay Adult Fee.